Alfred Nobel dropped the newspaper and put his head in his hands. 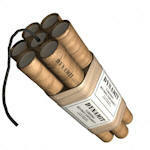 Nobel was a Swedish chemist who made his fortune inventing and producing dynamite. His brother Ludvig had just died in France. But now Alfred’s grief was compounded by dismay. He’d just read an obituary in a French newspaper—not his brother’s obituary, but his! An editor had confused the brothers. The headline read, “The Merchant of Death Is Dead.” Alfred Nobel’s obituary described a man who had gotten rich by helping people kill one another using dynamite. Shaken by this appraisal of his life, Nobel resolved to use his wealth to change his legacy. When he died eight years later, he left more than $9 million to fund awards for people whose work benefited humanity during his life and after. 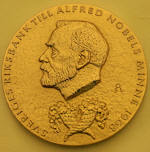 The awards became known as the Nobel Prizes. Alfred Nobel had a rare opportunity—to look at the assessment of his life at its end and still have the chance to change it. Before his life was over, Nobel made sure he had invested his wealth in something of lasting value… helping others help others.